" I must just call Mummy " Upwaltham 16x12"
" I must just call Mummy " Barlavington 16x12"
" I must just call Mummy " Coates 16x12"
" I must just call Mummy " Stopham 16x12"
" I must just call Mummy " South Stoke 16x12"
" I must just call Mummy " Selham 16x12"
West Sussex has several beautiful Saxon churches dotted around its downland villages. 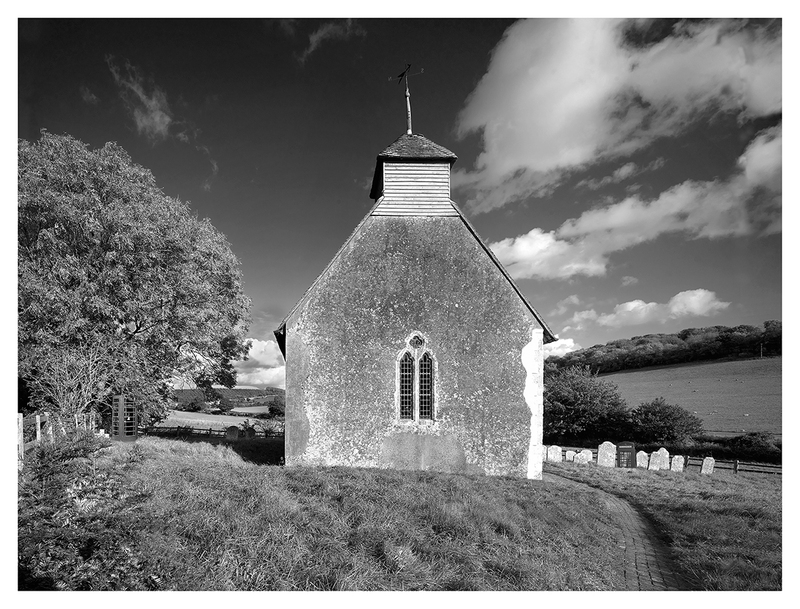 I am working on a series of small black and white images which show how these beautiful well maintained churches are becoming obsolete as we become more secular in our view. Their use is changing too and they are having to become venues for entertainment in order to survive. Sir Giles Gilbert Scott's new design had one feature that would become fluent in the telephone box, a domed roof. These too are obsolete as we now use mobiles. In the countryside they are becoming “adopted” changing into libraries, info points or local defibrillator houses. Naturally, how we communicate with God is also part of the focus inherent in these documentary and imagined places.